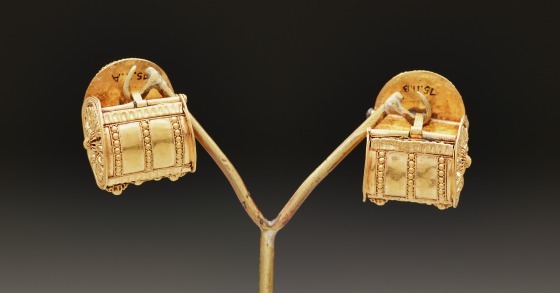 A baule or a bauletto means "little bag," and this Etruscan earring type earned its Italian name from its resemblance to a valise. 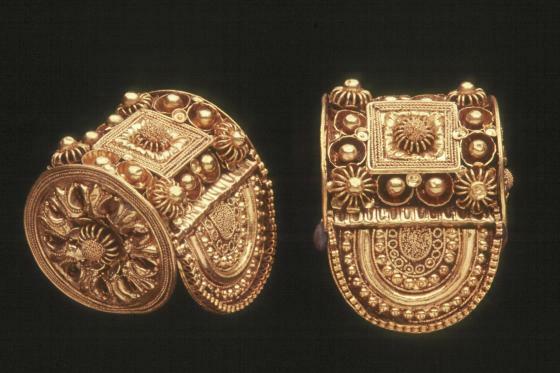 An Etruscan design of the 6th century BCE, the basic form consists of a broad strip of gold bent into three-quarters of a cylinder. 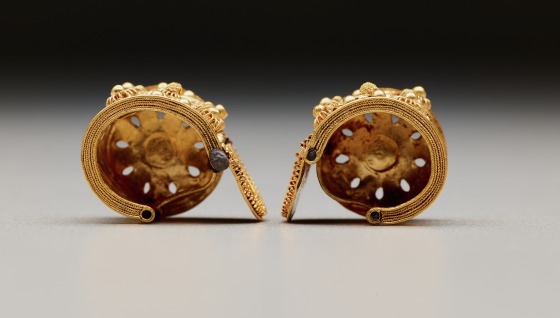 The two ends of the strip are joined by a wire or narrow band, which attached the cylinder to the ear. 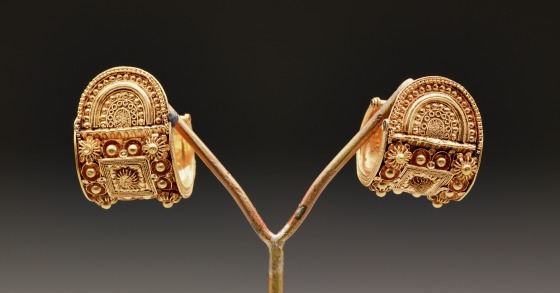 This wire is usually masked from the front by a decorative extension. 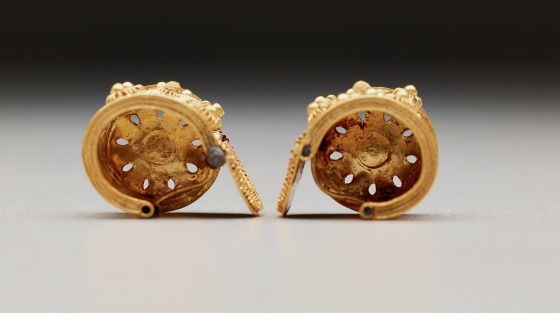 The surfaces of the cylinder that were visible when the earring was worn are elaborately decorated. 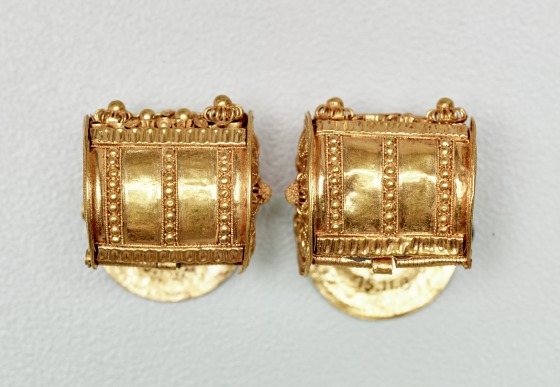 The hidden side is usually left plain or is less carefully decorated. 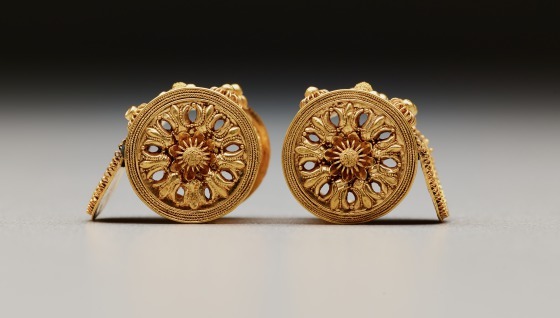 These differences make it clear whether an earring was meant to be worn on the right ear or the left. 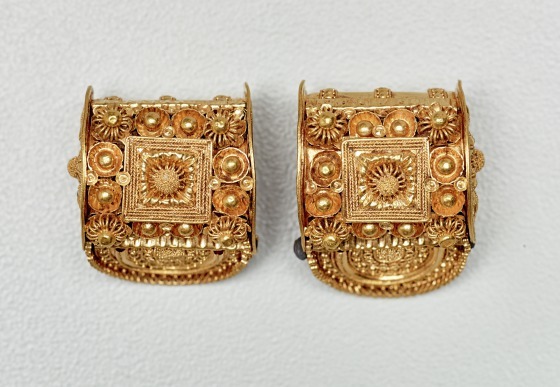 Barbara Deppert-Lippitz, Ancient Gold Jewelry at the Dallas Museum of Art (Dallas: Dallas Museum of Art in association with the University of Washington Press, 1996), 35; 124.